Robert “Bob” J. Kalpin, age 77, of Parkers Prairie, died Tuesday, November 20, 2018, surrounded by his family at home, under the care of Knute Nelson Hospice. A funeral service will be held at 11 a.m., Wednesday, November 28, 2018, at Immanuel Lutheran Church in Parkers Prairie with Rev. Kirk Lee officiating. Music is provided by organist, Maureen Diedrich and vocalists, Kelly Martin and Arlo Peterson. Burial is at Parkers Prairie Cemetery. Full military honors accorded by the Minnesota Honor Guard and Parkers Prairie American Legion Post 219. Visitation is 4-7 p.m., Tuesday, at Lind Family Funeral Home in Parkers Prairie and will continue one hour prior to the service at the church. Robert John was born on April 29, 1941, to Wilbert and Leona (Hink) Kalpin in Parkers Prairie. He was baptized on May 18, 1941, and confirmed on May 1, 1955, at Immanuel Lutheran Church in Parkers Prairie. Bob attended school in Parkers Prairie through the eleventh grade. The family moved to Bloomington where he met his future bride, Joanne on a blind date. He graduated from Bloomington High School. Bob continued his education at the University of Minnesota in St. Paul for one year. He enlisted into the United States Air Force on January 17, 1961. He completed his basic training and then was stationed at Lackland Air Force Base in Texas for his basic medic schooling from March to April of 1961. Bob was then transferred to Gunter Air Force Base in Alabama for his Medic Service Specialist training from May to July of 1961. He was united in marriage to Joanne Elizabeth Lehmann on July 29, 1961, at Mt. Olivet Lutheran Church in Minneapolis. Following their marriage, they were stationed at Travis Air Force Base in Fairfield, California. He was honorably discharged on January 15, 1965. They returned to Minnesota where Bob worked for Univac in St. Paul and Foley in Minneapolis as a method engineer. In 1973, they moved to Parkers Prairie and Bob began working as an apprentice for his dad who owned Parkers Electric. He bought the business from his dad in the late 1970’s. Bob’s son-in-law, Mike joined the business in 1991, they worked together until Mike purchased the business from Bob when he retired in 2000. He continued working part-time until 2006. 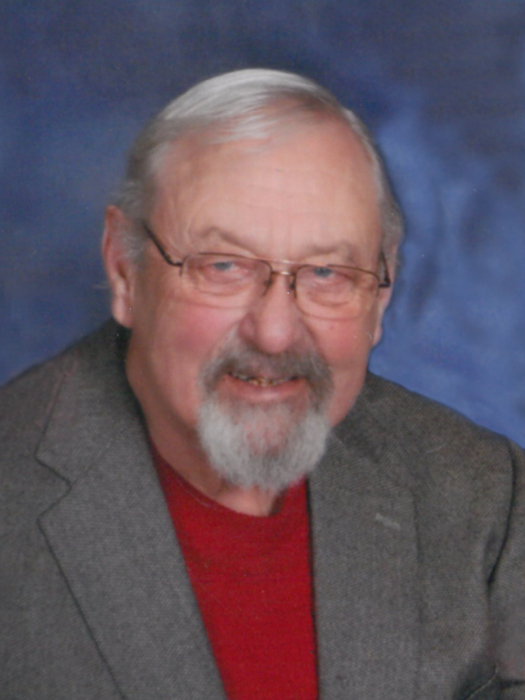 Bob was a member of Immanuel Lutheran Church where he served as an Elder, ACT Leader, and recorded many church services. He was also a member of the Parkers Prairie American Legion Post 219, Parkers Prairie Sportsmen's Club, Parkers Prairie Lions Club and former member of the Urbank Lions. Bob enjoyed hunting, fishing, and playing cards and pool with his buddies. He was preceded in death by his parents, Wilbert and Leona Kalpin; sister, Patricia; parents-in-law, Elmer and Clarice Lehmann; and great-granddaughter Avee Marie Hunter. Bob is survived by his wife of 57 years, Joanne; three children, Beth (Mike) Wilde of Parkers Prairie, David Kalpin of Mesa, Arizona, and Amy (Larry) Hunter of Peculiar, Missouri; six grandchildren, Joanne (Richard) Carter of Biloxi, Mississippi, Jenni (Kirby) Chermak of Alexandria, Mary Hunter of Peculiar, Missouri, Stephanie Wilde of Parkers Prairie, Josh Wilde of Carlos, and Andrew Hunter of Peculiar, Missouri; two great-granddaughters, Kyrin and Kiyla Carter of Biloxi, Mississippi; and many nieces, nephews and other relatives. Pallbearers are his grandchildren. Honorary pallbearers are Joanne Carter, Dave Penrose, Ted Steidl, Wendy Silbernick, Kris Block, Jeff Silbernick, and Ryan Penrose.